To point your domain in hosting, it is necessary to set the name server. A Name Server is a server which controls the DNS for a domain. It allows you to decide which hosting company controls your web space and email. Here is a short tutorial of how to manage DNS in Hostpair. Go to client area, select Domains from the left column and click on My Domains (Pointing by Red arrow in the picture below). 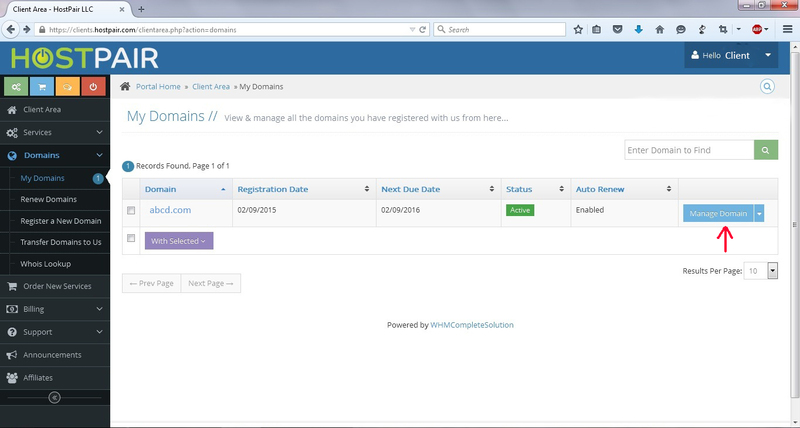 Or you can directly select by clicking on Manage Domains option. Now, find Manage Domain option in the right side of the page and click on Manage Nameservers option. The procedure is furnished on the picture below. After that a page will appear like the picture below. Put your nameservers on the blank boxes and click on Change nameservers. Your nameservers will be changed. 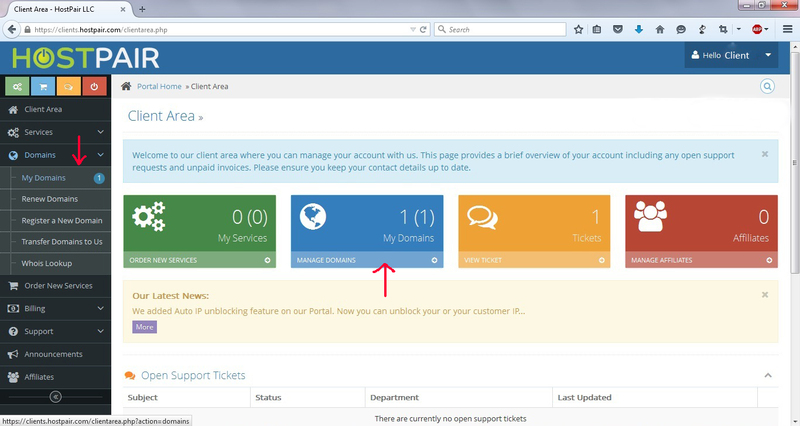 You may use default nameservers by selecting that option.